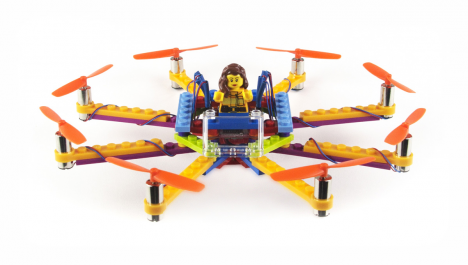 New build-a-drone kits combine LEGO bricks and off-the-shelf parts designed by Flybrix to create kid-friendly, wirelessly-controlled drones made to be easily reassembled if they run into something and crash. In the words of another famous kid-friendly robot: disassemble, reassemble! 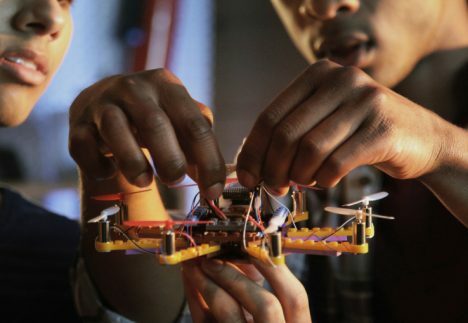 Flybrix is a San Francisco startup aiming to make drone-building easier and more accessible. Their kit-based flyers can be controlled via Bluetooth by an iOS or Android smartphone (or custom controller). Children learning to fly need not worry about running these indoor-friendly bots into walls – they can be involved in collisions then put back together. 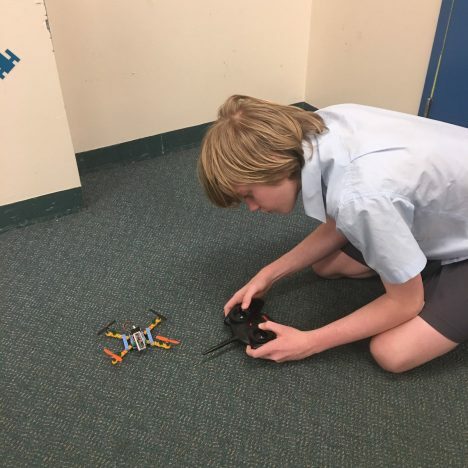 The basic kit contains a few dozen pieces and instructions to build a small quadcopter in just 15 minutes – other advanced kits let kids expand and modify the basic drone (or build their own). “Co-founders of the startup, Amir Hirsch, Robb Walters and Holly Kasun, want to get teens, or younger kids with adult supervision, interested in things like geometry, aerodynamics and electrical engineering.” While the company isn’t an official LEGO partner, their gadgets are all LEGO-compatible add-ons. One the cofounders has three degrees in math and electrical engineering from MIT, where he first got the inspiration to create Flybrix. See more in Gaming & Geek or under Gadgets. September, 2016.